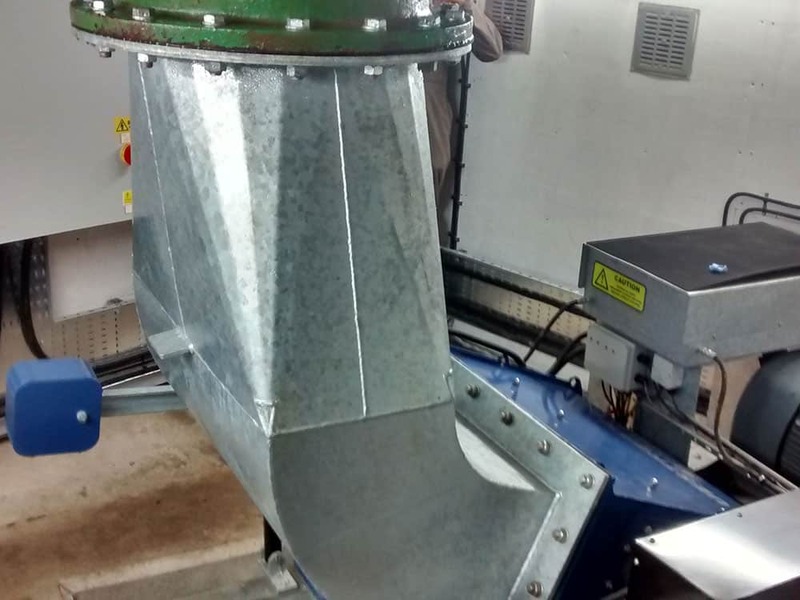 This hydro project involved creating a new split-phase grid connection, the removal of an old Gilkes turbine, refurbishing the turbine house with a lowered concrete floor and installation of a new Crossflow turbine and remote control system. 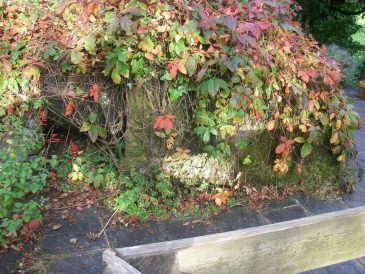 The arrangement at Kenningstock Mill was originally designed to provide mechanical power via a waterwheel to process corn and other crops. Over the years, the wheel fell into a state of disrepair and was replaced with a second-hand horizontal axis Francis turbine to provide electricity. The scheme used the existing 750 m long leat and intake structures, which included a rotating drum-screen and a 30 m long cast pipe delivering water across the garden and down through the roof of the turbine house. 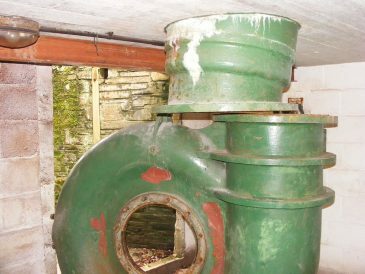 A water turbine had been part of the family history at Kenningstock Mill. 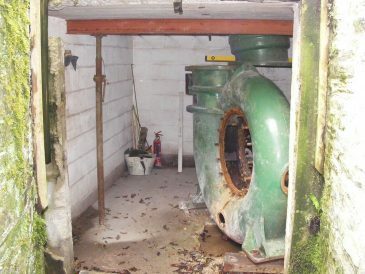 When confronted with a defunct turbine house, dating back to the 1930’s, complete with antiquated electrics, the new heir approached us to see whether the turbine could be refurbished. Our feasibility study showed that a new turbine would be the best option in terms of efficiency and revenue. We contacted Gilkes Ltd, manufacturers of the original turbine (see pictures below), and they kindly provided specification details. This revealed that it was designed for double the head characteristic of the site. This meant that flow through the turbine was reduced by approximately two-thirds, affecting efficiency and therefore limited the output to 10.5 kW. The site characteristics actually suited a crossflow turbine with a mechanical output of 37 kW. 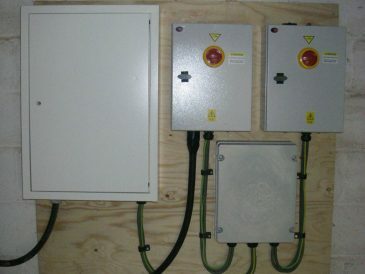 However, grid restrictions would limit the electrical output to 25 kW. In addition, the new turbine attracted the Feed-In-Tariff and so improved the revenue five-fold. 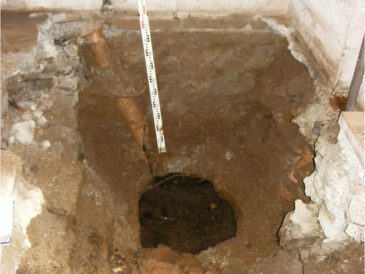 The property was served by one phase of the spilt-phase connection, with the farm next door receiving the other phase. A permit to export of 25 kW (split phase) required a replacement transformer and overhead cable upgrade. Renewables First organised this new service from Western Power Distribution. 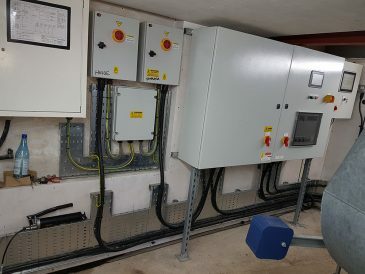 The wiring specification within the property was also altered to maximise the use of the power available on the extra phase within the property. The first task was to remove the old Francis turbine. 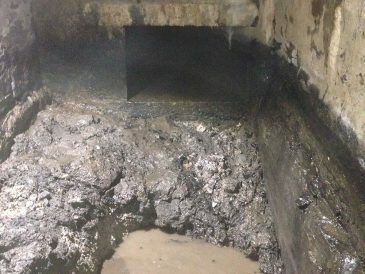 The draft tube needed to be removed from the concrete floor. Breaking this out was done with extreme caution and fortunately, the underlying ground was suitably cohesive (see picture, below left). Crossflow turbines are mechanically very simple pieces of equipment with an efficiency of 75 % at the designed flow. However, the new arrangement needed to be connected to the existing penstock coming through the roof of the turbine house and fitted into the room below, so that its draft tube could discharge efficiently into the existing culvert, beside the old Mill building (see diagram, below right). 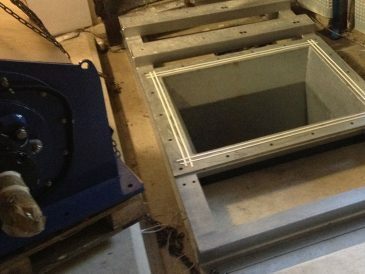 In order to accommodate the new turbine, the floor of the turbine house needed to be lowered. 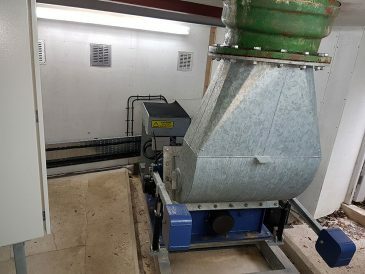 The team at Renewables First designed a new reinforced concrete floor, which sat on a bed of acoustic insulation in order to prevent any vibration passing through to the Mill building (see picture, below left). This allowed the turbine frame to sit within the floor and receive mechanical equipment using a new lifting beam positioned overhead (below right). The turbine had to be installed and commissioned in time for Christmas, in order that we could meet an agreed Feed-in-Tariff deadline with Ofgem. This involved assembling mechanical equipment, installing the custom built transition piece to the overhead pipework (below left). Then control panels and electrical units were fitted, and sensors wired before water could be passed through the system (below right). 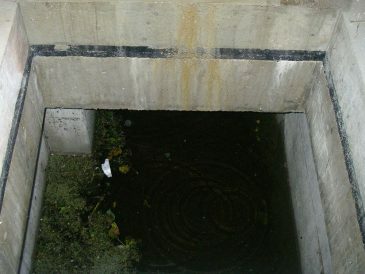 Outside of turbine house, the intake, penstock and culvert to the tailrace were cleaned. 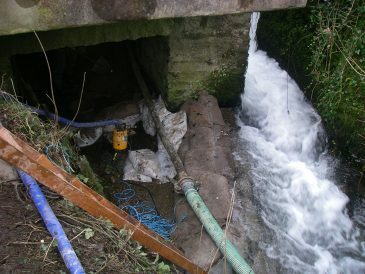 Debris was collected before entering the tailrace, to prevent any pollution to the watercourse, and River Camel downstream (see photos below). The turbine was successfully commissioned in December 2015, and involved the collaboration of 5 companies, all based in the South West. The calculated annual energy capture of the turbine is 107,454 kWh per year. This is enough to power 26 UK homes and will lead to an annual CO2e emissions saving of 53,727 kg. Aware of the strong local energy market in Cornwall, the Client was advised about a peer-to-peer energy matching platform for renewables. Kenningstock Mill was matched with a portal supporting the Eden Project, who are keen to procure as much local power as possible, because they had an interest in rounding off their energy mix and hydro provides more of a baseload profile. 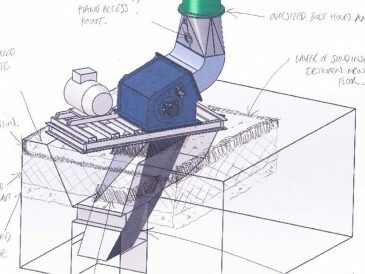 “In the spring of 2016 we reached a decision that the pre-existing screen used to prevent leaves, wood and fish from passing through the turbine, was no longer fit for purpose. 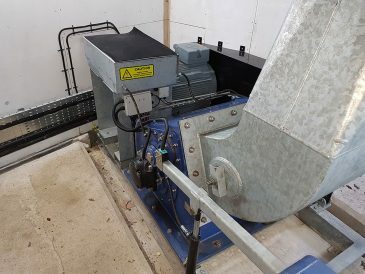 We had no hesitation in asking Renewables First’s sister company, GoFlo, to design and build a new automated filter screen to sit in the leat across the entrance of the penstock. This was installed in the autumn. After a few minor adjustments, we now have a modern hydro scheme, capable of operating in all conditions, throughout the year.